Today I'm sharing my authentic French Pâte Brisée recipe. It's wonderfully light and flaky with that unmistakable flavor that only comes from real buttery goodness. 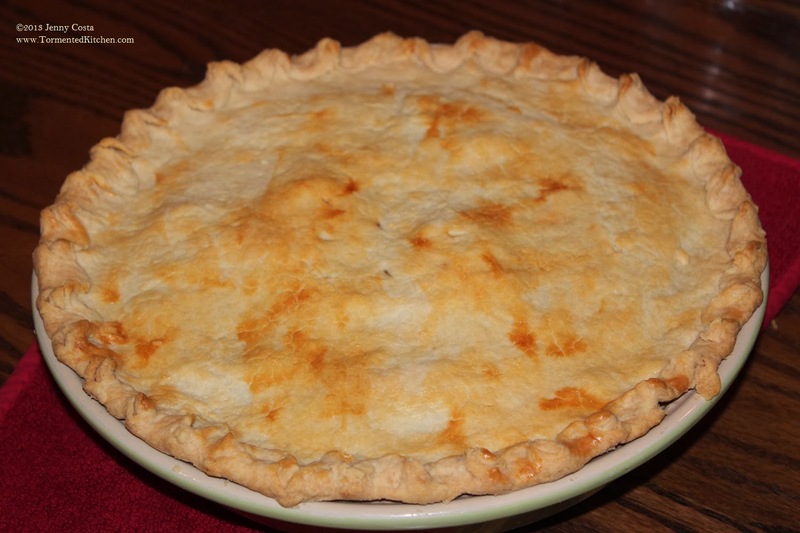 This recipe makes enough for two single-crust (bottom only) pies or one double-crust (top and bottom) pie. Since it's not sweet, it is suitable for sweet or savory pies, especially pot pies for dinner. 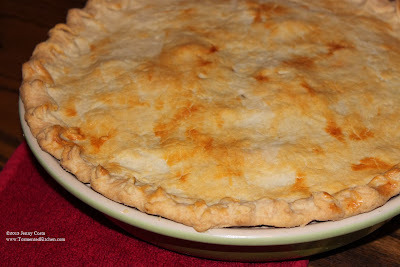 I used this butter-based crust for my Cabernet Steak Pot Pie recipe and it was fabulous. 1. Chop or shred the cold butter. I used a microplane grater to grate the cold butter into a large mixing bowl. Put it back in the fridge a few minutes to keep it cold. I had commercially salted butter on hand so that is what I used. 2. Add the flour and salt and blend with a pastry blender until evenly crumbly. (If you have unsalted butter, up the salt in this step to 1/2 teaspoon.) Return mixture to fridge another 10 minutes. 3. Add 1/2 cup cold water to the mixture and begin blending. If it's too dry, add additional cold water a tablespoon at a time. Mix until it mostly holds together but it should still be a bit crumbly. 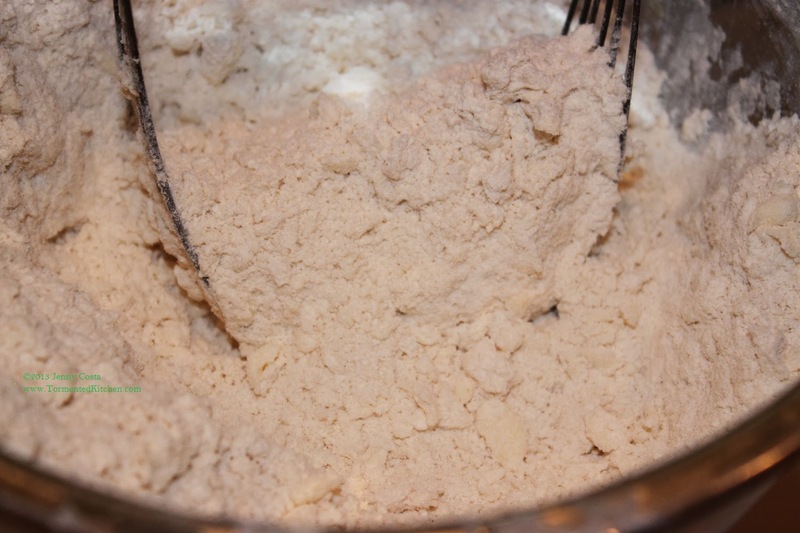 Divide dough into two balls. Put the second dough ball back in the fridge. Keeping this dough cold helps keep the crust flaky and light. 4. Dust your work surface with a little extra flour. Place one ball of dough in the center. Dust top with flour and roll out to about 1/4" or 3/8" thickness. It should be enough for a 9" pie dish. 5. 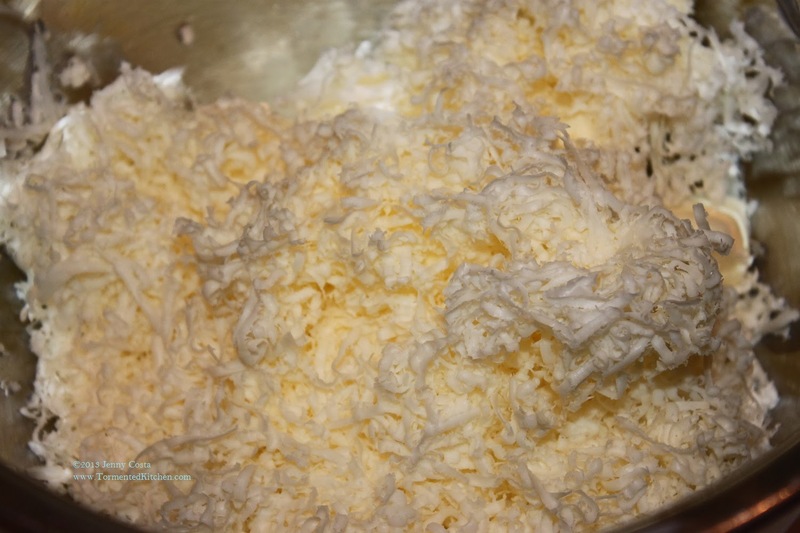 Transfer this to your pie dish and repeat step 4 for your top layer. 6. 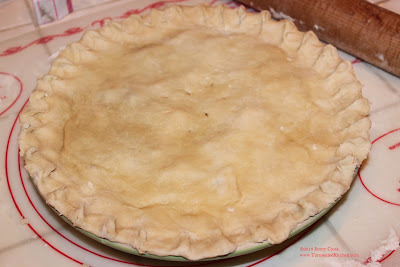 Fill the pie dish and place the top layer on top. Crimp the edges together. I trimmed it slightly past the edge of the dish, then pinched and turned it up and over toward the center and made a little pleat. 7. Bake until done in a preheated oven. This will depend on the pie filling, but generally 350F for 30-45 minutes works well. You may want to use an egg wash to get the top extra brown and glossy. 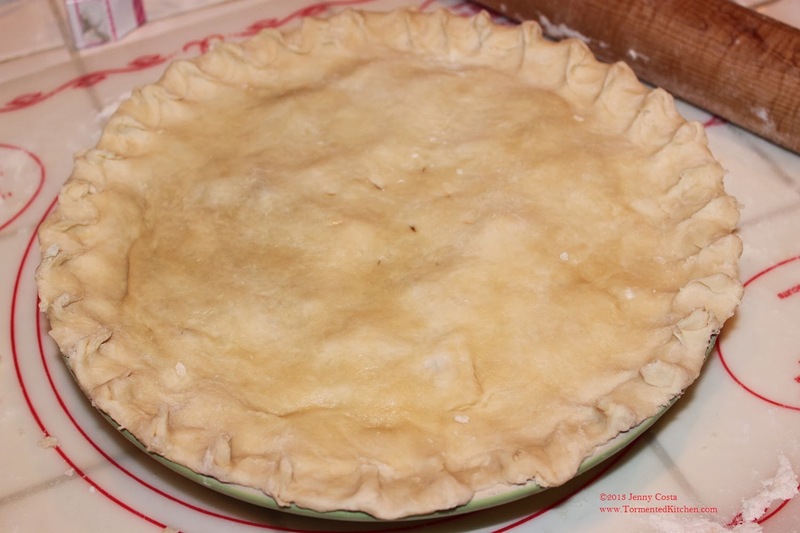 For additional pie construction details, check out these recipes, too.